The Death and Life of Zebulon Finch, Volume 2: Empire Decayed completes Daniel Kraus’s two-volume epic saga about the extraordinary journey of seventeen-year-old Zebulon Finch, an enigmatic antihero who plays by his own rules. After being murdered and mysteriously resurrected in 1896, Finch embarked on a search for redemption. But despite having endured a deathless life for half a century, nothing can prepare him for what is coming next. As a symbol of the dehumanization that decays the heart, mind, and soul of humanity, Finch makes his way through the violence and violations of morally corrupt societies, facing a struggling humanity’s cruelest tendencies. After witnessing atrocities in Nazi Germany, he finds solace in the Montana wilderness, which then unexpectedly propels him into Midwestern suburban life. It is the 1950s. All is not what it seems. In a continued series of unpredictable scenarios and consistent struggles marked by failure, he dabbles in space exploration, and then lends himself to student protests and freedom marches until he crumbles into complete moral decay in the Arizona desert, only to endure bizarre abuses in a mental hospital. 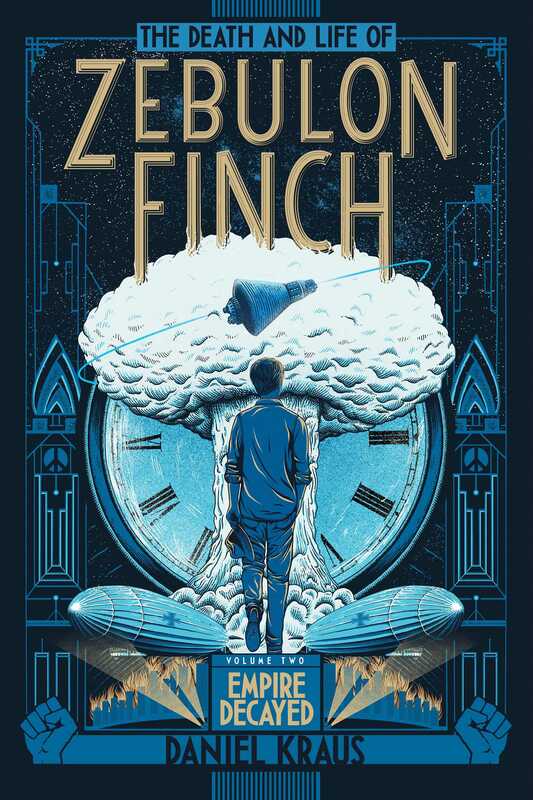 Morally flawed himself, a complexity of contradictions, inconsistencies, and ambiguities, Finch searches for ways to change the world, only to be misguided by self-destructive goals. When will the cycle end? Will he ever find peace? Zebulon Finch’s story is disturbing, heart-rending, agonizing, and humorously ironic. His quest for redemption is, in fact, the story of America. 1. The use of first person point of view affects how the reader perceives Zebulon Finch and the other characters and events as seen from his perspective. How would your perception of Zebulon and the other characters be different if the story were told by an omniscient narrator? Discuss. 2. Zebulon is a storyteller. His deceptively reliable voice engages the reader as he explores his thoughts and motivations. A highly dynamic, complex, and enigmatic character, our impressions of him change throughout the story. Do you sympathize with him? Why or why not? 3. Sometimes lines can be blurred among heroes, antiheroes, and villains. What qualities does each archetype possess? Which archetype would you say characterizes Zebulon? Who are the real heroes in this story? Who are the true villains? 4. What is Zebulon’s overarching motivation? What conflict is he striving to resolve, and with whom? Whom does he believe to be his greatest nemesis? To whom does he believe his debt must be paid? 5. It is generally believed that the thoughts, feelings, and development of a personal and social identity are influenced and shaped by the surrounding society. Does this hold true for Zebulon? Does he demonstrate any personal or social growth over the course of his story? Is he learning anything as he moves through time? What is he learning? Cite examples. 6. In social psychology, “moral relativity” suggests the reader’s views are greatly influenced by the society in which he or she lives and the values with which the reader has been raised. How did Empire Decayed affect you? Which aspects of Zebulon’s journey are most relatable to you? Most inspiring? Most humorous? Most absurd? Most morally corrupt? Most heartbreaking? Discuss. 7. 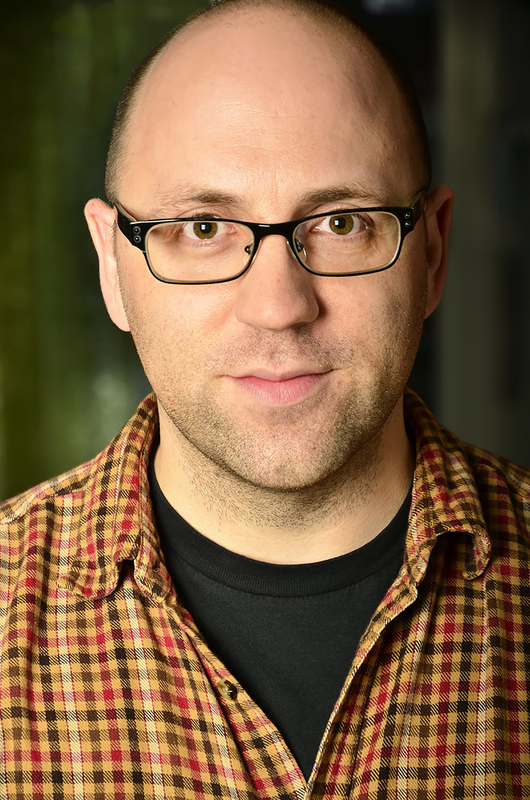 The author makes extensive use of figurative language as a literary technique. Discuss the use of alliteration, metaphor and simile, onomatopoeia, personification, hyperbole, synecdoche, and metonymy in the story. Cite examples from the text that you find to be especially powerful. 8. Kraus weaves together diverse and complex characters with convoluted circumstances resulting in multiple connections and perspectives. What do you believe is the story’s overarching message? How does this message relate to your personal life? 9. Kraus presents issues and themes that transcend time and place. What do you think are the most important issues and themes in the text? Identify people, events, and places in your own life that reflect some of these issues and themes. 10. The author provides a rich, enhanced vocabulary. What effect do these words have on you as a reader? Are you able to infer meanings from the text? Are there words or phrases you might like to incorporate into your personal vocabulary? 11. Kraus alludes to significant ideas in other works of literature, mythology, art, music, and games. How does this technique serve to strengthen your understanding and enjoyment of the story? Discuss some allusions that stand out for you, what they call to mind, and how they illuminate aspects of Zebulon’s journey. 12. Out of the cast of secondary or peripheral characters, who do you relate to the most? For what reasons? In what ways? What impact does this character have on Zebulon and on you? 13. Pivotal characters are crucial to the development of the plot. Discuss Allen Rigby as a pivotal character. How does the plot advance as Zebulon is urged on by Rigby’s schemes? What do these exploits reveal about Zebulon? How does Zebulon’s relationship with Rigby change throughout the novel? 14. What is the nature of Zebulon’s relationship with von Lüth? How does this relationship impact Zebulon? How does it impact von Lüth? When does their relationship reach a turning point? How does the plot destruct as a result? What does this destruction mean for von Lüth? For Zebulon? 15. What role does Frau Meixelsperger play in furthering the plot? What is the purpose of the Geschenk? What does she mean when she says, “The underground shapes the overground”? How does this notion apply to the Nazi regime and to each of the storylines in Empire Decayed? 16. How does visiting the Mauthausen concentration camp affect Zebulon? What is the concept of the Fifty-One? How does it relate to Church’s Theory of 17? What does Zebulon mean when he says, “All that is certain is that they saved me, gave me a fighting chance for my soul, and thus they would always be there, judging me, waiting for me to prove that I’d been worth it”? 17. Zebulon is trapped in an endless cycle of struggling for redemption, only to be thwarted by self-destructive behaviors. How does this pattern relate to the circle of creation, destruction, and regeneration in the sacred symbology that von Lüth describes? Who or what determines the next turn of the circle? What does this mean for Zebulon? 18. Why does the Marlboro Man send Zebulon to Heavenly Hills? At what point does Zebulon realize the reason for this errand? At what point do you realize it? What does Zebulon’s relationship with the Marlboro Man say about him? 19. What does Mrs. White reveal about the plight of Midwestern suburban housewives in the 1950s? What is Mr. Gray’s role in helping her understand it? How does he gain her trust? How does he liberate her from the fear of criticism and teach her about deeper, richer values? 20. Compare the lives of von Lüth and Mrs. White. How are their inner struggles similar? How are they different? 21. What role does Clown play in Mr. Gray’s life? How does this relationship reflect the cycle of destruction in which Mr. Gray is trapped? 22. Consider Church’s advice “to keep going no matter how deep the fear gets into your heart.” How does this advice relate to Luca Testa’s warning, “You gotta have fear in your heart”? How do these statements relate to Mr. Gray? 23. Describe Zebulon’s mission as the Harpocrates 7 fail-safe with NASA. What is ironic about this assignment and his motivation to keep going? 24. What are the nature and purpose of Zebulon’s acts of martyrdom? Why is he eager to sacrifice himself for the NSTF? Do you see martyrdom as an expression of heroism, or something else? 25. Kraus uses the forces of nature as a powerful lens for Zebulon’s story. Cite one or two examples from the text when nature reflects the values and concerns of the characters and/or their circumstances. Discuss what mood each example sets for the story. 26. First impressions are important to Zebulon. What is his first impression of Allen Rigby? Von Lüth? Himmler? The Marlboro Man? Mrs. White? John Glenn? Harvey Scheinberg? Jolami Tiombe? Ruthie Ness? Eric Kwon? Ry? Are his impressions correct? Have you ever been misled by first impressions? 27. Consider Zebulon’s realization, “Repeatedly I’d quit watching over Church, but never had Church quit watching over me.” How is Church’s final heroic act at Woodstock similar to his previous acts of heroism in the trenches of World War l? How do Church’s actions affect Zebulon? 28. How are the moral degradation and atrocious ritual behaviors at Savage Ranch related to the screenplay, In Our Image? To what does the title of the script allude? As a young man seeking redemption, how do you account for Zebulon’s complete moral corruption at Savage Ranch? 29. Discuss the role of vengeance in the story. Zebulon believes “People see something of theirs destroyed and they can’t help it—they want their turn at destroying.” Do you agree with this observation? Why or why not? Who are the Triangulinos? What were they avenging? On behalf of whom? Who is Ruthie Ness? What is she avenging? For whom? 30. Having witnessed Merle’s death, what does Zebulon learn about the nature of la silenziosita’s insights? What role does fate play in Zebulon’s life and death? Does it allow for free will? 31. With Eric Kwon, Zebulon muses, “All I wanted, for once, was to focus outward!” What does this statement reveal about Zebulon? How does it apply to Zebulon’s attempt to protect Ry from his demons? What purpose does Ry serve in Zebulon’s life? What does Ry represent? What role does Zebulon play in Ry’s life and death? 32. Consider the concepts of prejudice and discrimination in the novel on the basis of ethnicity, military status, religious beliefs, social class, race, ageism, and mental illness. What roles do they play in each of the major storylines in this novel? What roles do they play in your life? 33. Who or what is the Millennialist? Of what significance is it to Zebulon? To us? 34. Why do you think Zebulon chooses the South Tower of the World Trade Center as his tomb? What does it signify? How does its eventual collapse and the tragic loss of life relate to the story’s themes? 35. While discussing NASA plans with Rigby, Zebulon reflected, “I could not help but think that the leaving behind of any Excelsior was an omen bad enough to give even a fail-safe pause.” What has the Excelsior pocket watch represented throughout the novel? What has the author foreshadowed about the future? What does the Excelsior represent now? Has Zebulon’s broken surrogate heart stopped ticking? 36. What effect does the author’s wordplay in the Curtain Call have on you? Does it bring the story to a satisfying end? Why or why not? Do you feel that Empire Decayed is ultimately more than the sum of its parts? In what respect? 37. Does Zebulon ever find redemption? How do you know? Is his debt finally paid? To whom? 38. Do you see life differently after reading Empire Decayed? Do you think about certain people differently? If so, how might this story affect how you approach people or situations in the future? 39. In your opinion, what is Zebulon’s greatest moment? Why? There are a wide range of online sites available for authentic research. In addition, the following are especially valuable resources: Hitler Youth: Growing Up in Hitler’s Shadow by Susan Campbell Bartoletti (Scholastic, 2005) and the 1993 film Swing Kids (PG-13) with Robert Sean Leonard, Christian Bale, and Barbara Hershey. In this film, teens rebel with their “swing” music from America, denouncing the Hitler Youth organization and loyalty to the Third Reich. 2. What is the American Dream? How was it symbolized in the 1950s? What is its focus today? The American Dream still exists, but it has taken on a new form, focusing on eliminating worries rather than providing comforts. Using online resources, compare the similarities and differences between the shared concept of the American Dream in the 1950s and in today’s society. 3. Review the article Televising Masculinities: The Sitcom Dad in the 1950s on “The Adventures of Ozzie and Harriet” by Brian Faucette, posted by This Was Television, to examine how fathers were presented during the 1950s and how the institution of fatherhood changed after the Depression and World War II. For a glimpse of the cultural landscape and the role of fathers in 1950s American suburban life, watch several YouTube reruns of Father Knows Best, Leave It to Beaver, and The Adventures of Ozzie and Harriet. How do these sitcoms compare with current television shows depicting contemporary ideals and family life? Discuss in small groups. 4. Write an overview of the Space Race and Project Mercury (1958 – 1963), paying particular attention to: the Space Task Group of managing NASA engineers based at the Langley Research Center in Hampton, VA; the objectives and guidelines of the Mercury program; astronaut selection; and the Mercury spacecraft. Include brief biographies of the Mercury Seven, the original seven Mercury astronauts: John Glenn, Alan Shepard, Gus Grissom, Scott Carpenter, Gordon Cooper, Wally Schirra, and Deke Slayton. Or choose one astronaut to research in depth. For an official comprehensive account of the program consult This New Ocean: A History of Project Mercury by Swenson, Grimwood, and Alexander, published in 1989 as NASA Special Publication-4201 in the NASA History Series at history.nasa.gov. 5. Prepare a brief research essay on the Cold War, highlighting the post-World War II tensions between the United States and the Soviet Union that lasted for much of the second half of the twentieth century. The Cold War: Causes, Events, Pictures, and Videos from The History Channel investigates the resulting series of international incidents that brought the world’s superpowers to the brink of disaster. March (Top Shelf Productions 2013, 2015, 2016): a series of three graphic novels by John Lewis and Andrew Aydin, with artist Nate Powell. Book One was winner of the 2014 Coretta Scott King Honor Award. Congressman John Lewis, one of the key figures of the Civil Rights Movement, shares vivid personal accounts of his lifelong struggle for civil and human rights and a continued commitment to justice and nonviolence. X: A Novel by Ilyasah Shabazz with Kekla Magoon (Candlewick Press, 2015), winner of the 2016 NAACP Image Award for Outstanding Literary Work for Youth/Teens and a 2016 Coretta Scott King Honor Book. Ilyasah Shabazz is Malcolm X’s daughter and she conveys the story of a powerful voice that still resonates today. Because They Marched: The People’s Campaign for Voting Rights That Changed America by Russell Freedman (Holiday House, 2014) is an account of the march for voting rights from Selma to Montgomery in honor of the fiftieth anniversary. Marching for Freedom: Walk Together, Children, and Don’t You Grow Weary by Elizabeth Partridge (Viking, 2009) is an account, with dramatic photographs, of March 6, 1965, Bloody Sunday, from the point of view of those who marched as children, remembering the fifty-four-mile march from Selma to Montgomery led by Martin Luther King Jr. The Black Panthers: Portraits from an Unfinished Revolution (Nation Books, 2016) is a photo essay book edited by photojournalist Bryan Shih and historian Yohuru Williams. It offers a reappraisal of the Black Panther Party during the late 1960s. 7. Consider the Woodstock Music Festival of 1969 as a counterculture revolution. What did it symbolize? Hope. What was it? A rock concert. What was it not? A political demonstration. Was it a work of art or a chaotic disaster? Both. Examine Woodstock’s myths and realities. Did this event provide personal liberation or moral confusion? What were the hostile undercurrents in a divided America at the time? Investigate the freedoms and ideals American youth were searching for. Woodstock represented a faith in humanity, in the way people treated each other, a primitive need in all of us to belong to something larger, to have the support system of a tribe, an extended family, a community. Trace the impact and legacy of this landmark event. Discuss in small groups. Woodstock, the 1970 American documentary of the Woodstock Festival 1969. Entertainment Weekly called this film the benchmark of concert movies and one of the most entertaining documentaries ever made. Woodstock received the Academy Award for Best Documentary Feature. Woodstock Vision: The Spirit of a Generation by photographer of record for the festival itself, Elliott Landry (Backbeat Books, 2009). This account offers the classic photos that helped define the Woodstock era. Woodstock: Three Days That Rocked the World, edited by Mike Evans and Paul Kingsbury (Sterling 2009) is the definitive guide on this event. Woodstock: Peace, Music & Memories by Brad Littleproud and Joanne Hague (Krause Publications, 2009) tells the story of what Time magazine called “the greatest peaceful event in history” with historical photographs and memorabilia.